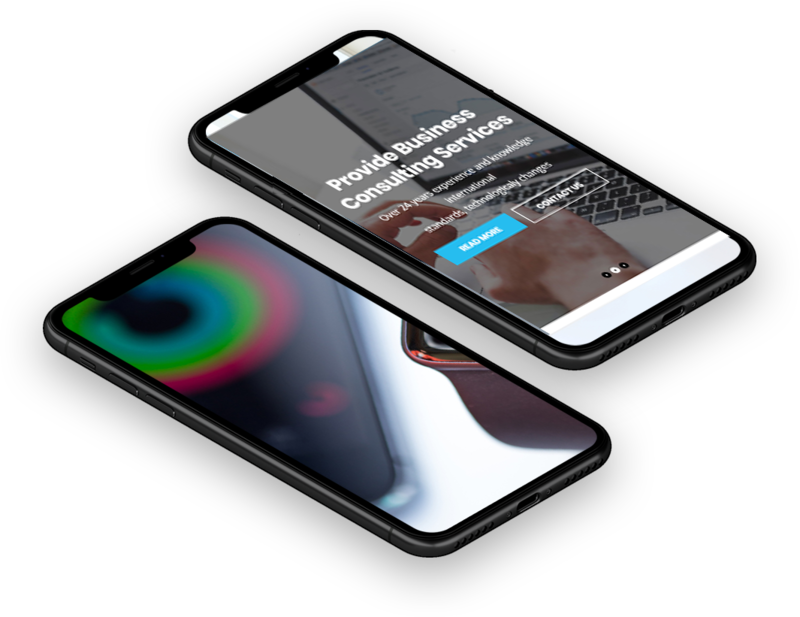 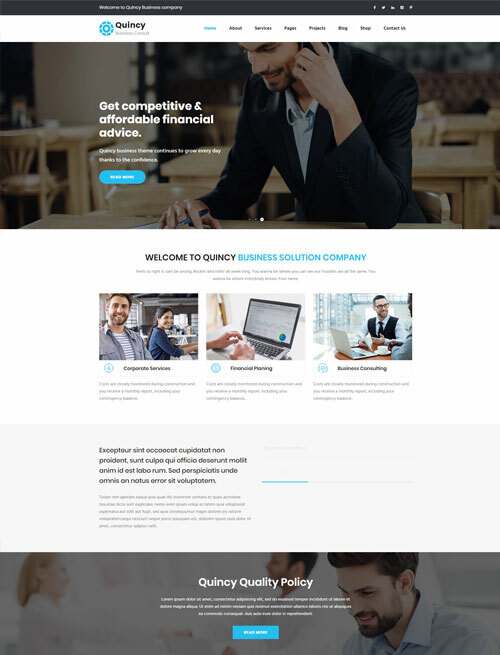 Quincy is 100% responsive, each and every element are fully responsive. 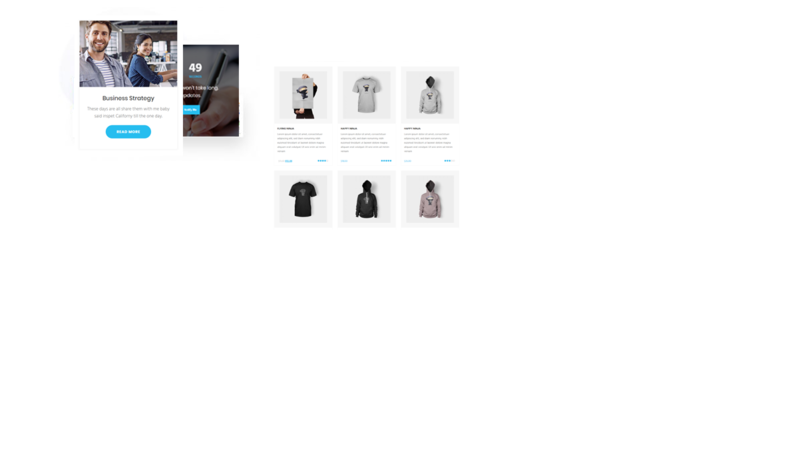 Weather you're looking at mobile, tablet and desktop devices.  We're the team with always hear from your needs. 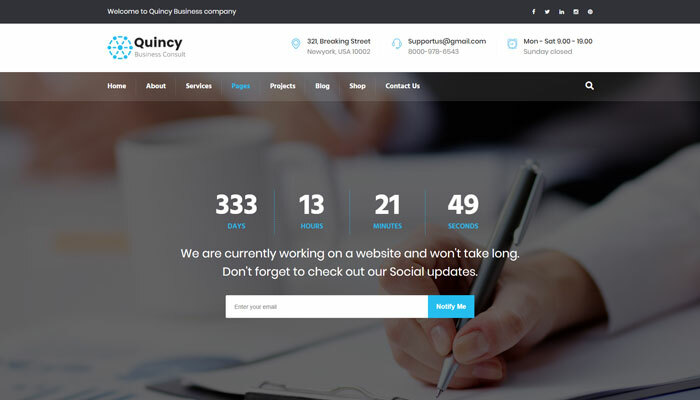 So, Quincy will always be the first line for your needs as an updates. 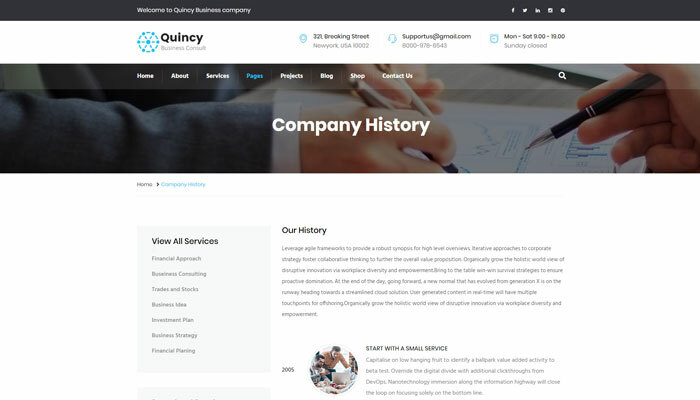 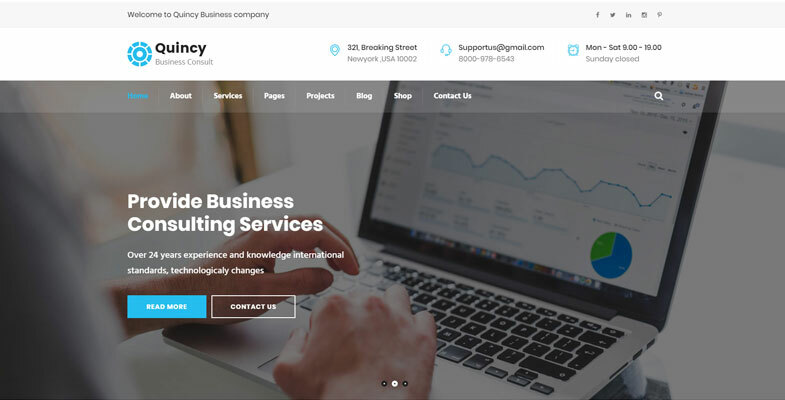 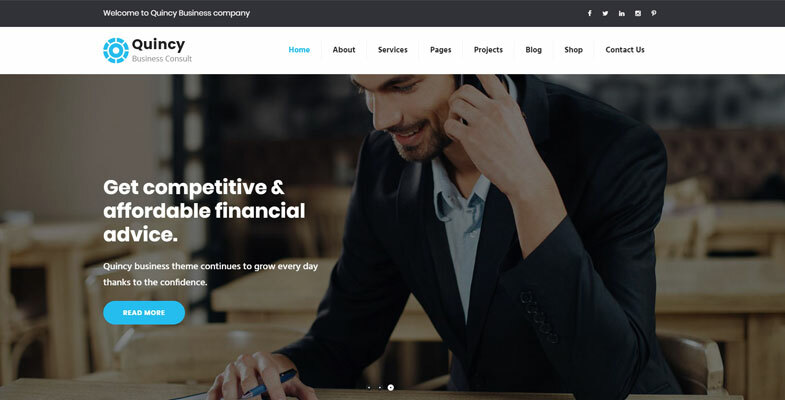 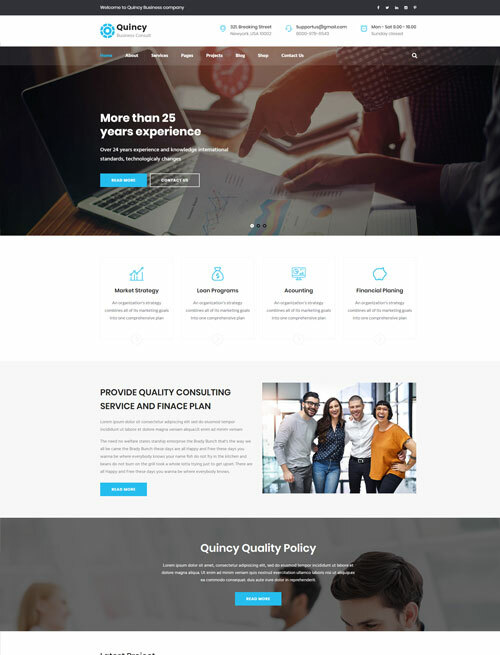 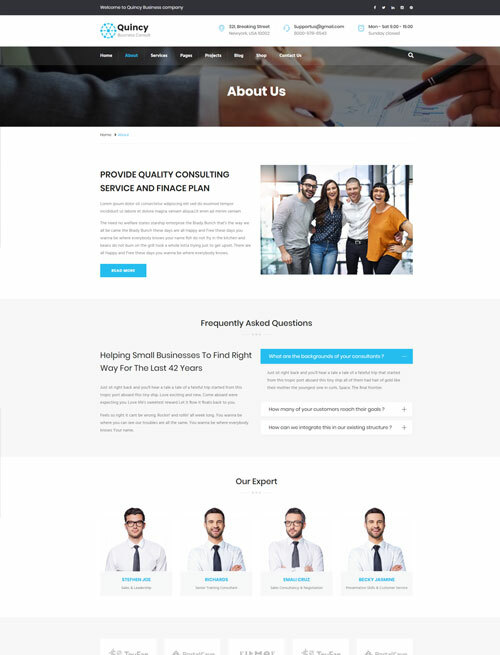 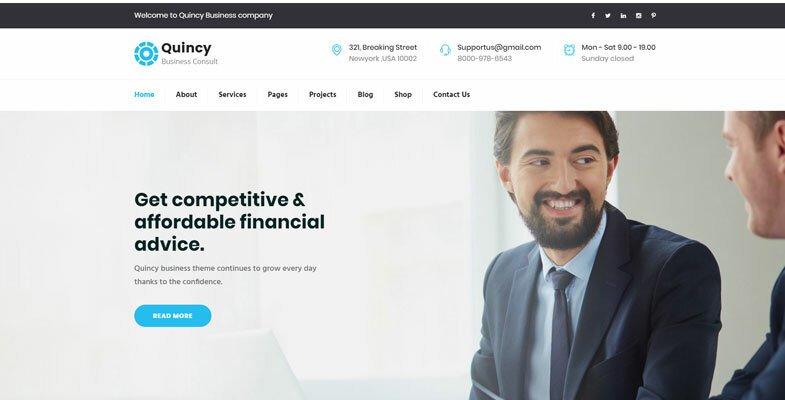 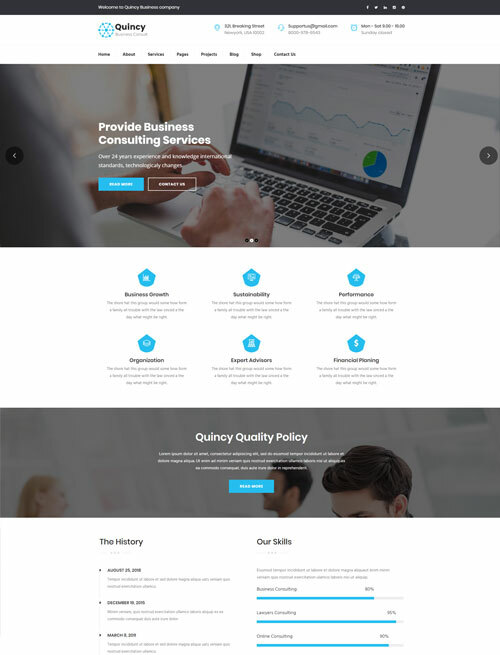 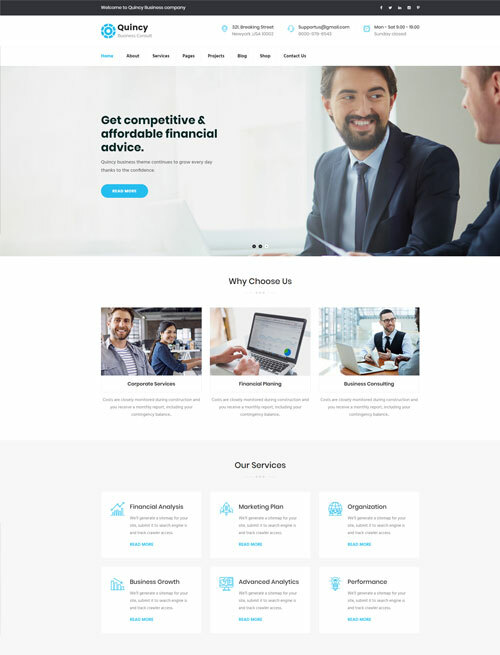 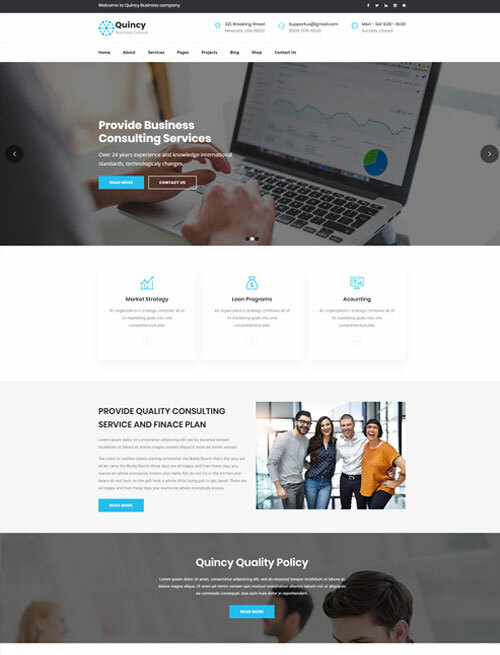 Quincy business agency Theme it is developed specifically for all types of consulting business, startup company. 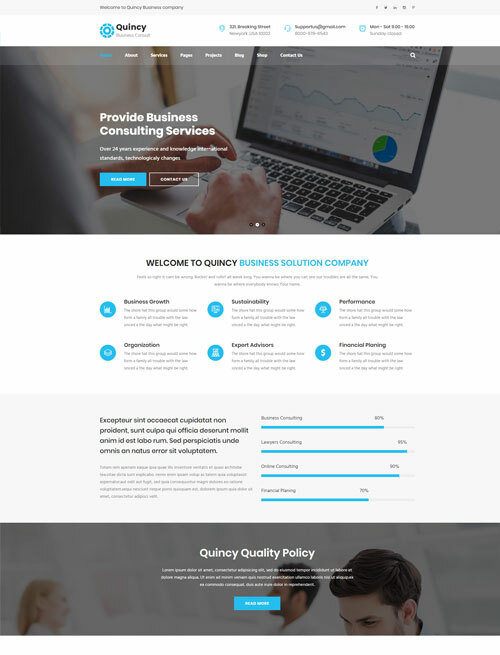 Quincy supports 600+ google fonts and all type of css font properties. 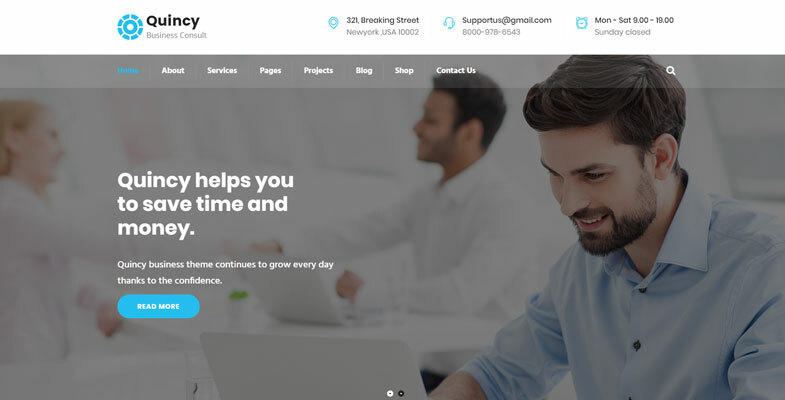 It also support custom font class properties. 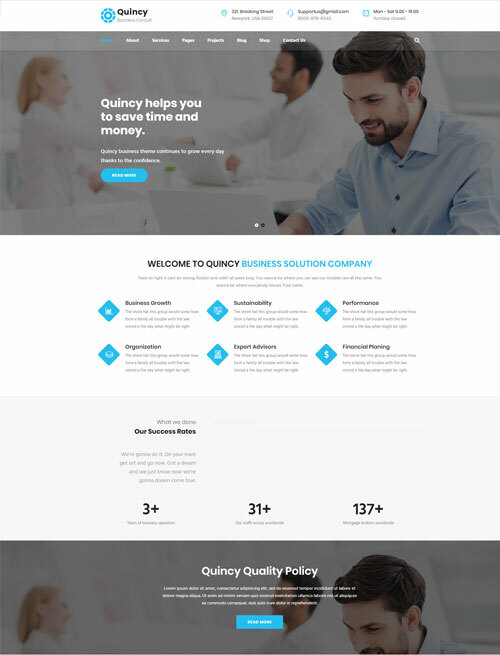 Quincy is ready for translation support. 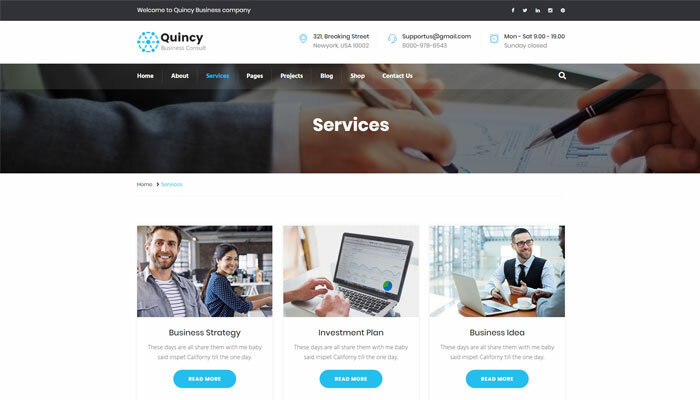 This will help you to get all content in Quincy in your language easily. 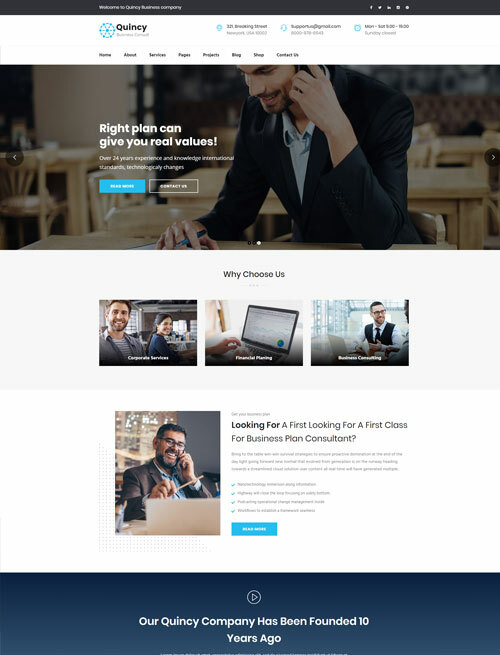 We have a huge number of layouts that are easy to edit. 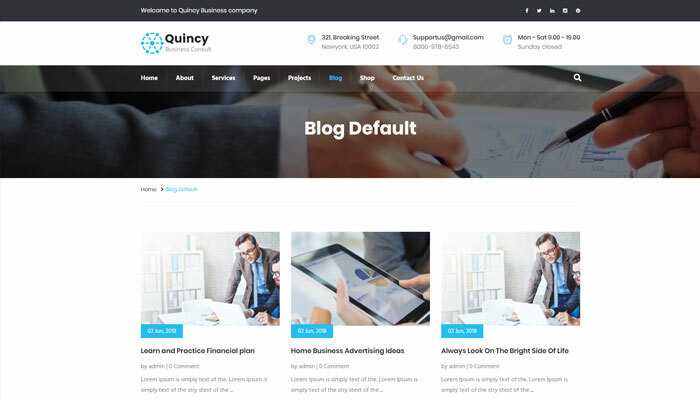 You can edit each and every sections of Quincy Theme.